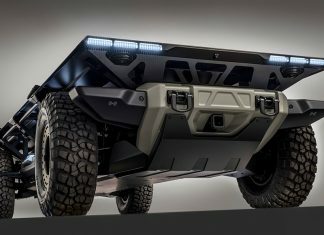 GM's proposes a versatile, electrically powered platform that uses hydrogen fuel-cell technology to support energy-dependent applications such as sensor platforms, high energy lasers, command posts, communications sites, field medical facilities, and emergency power and water generation facilities. 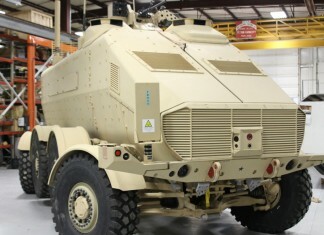 The U.S. Army Tank Automotive Research Development & Engineering Center (TARDEC) has just released the MAPS Framework (MAF) - the key element in TARDEC's roadmap to standardize the development and upgradability of Active Protection Systems (APS) and subsystem technologies utilized to protect ground vehicle platforms. The newly released document outlines the different standards that guide system providers in government and industry to develop products that are modular, upgradable, safe, and secure. 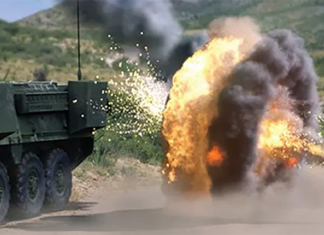 The Concept for Advanced Military Explosion-Mitigation Land (CAMEL) is a concept vehicle demonstrating 'Occupant Centric Platform' (OCP) concepts. 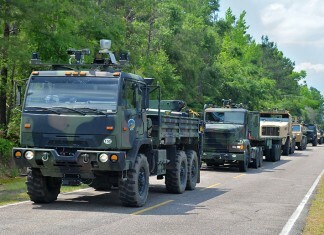 A 30 ton class 8x8 troop carrier, CAMEL is designed to safely and securely transport nine troops and two crew members with a goal to reduce combat vehicle casualties well below 50 percent, compared to current combat vehicles.